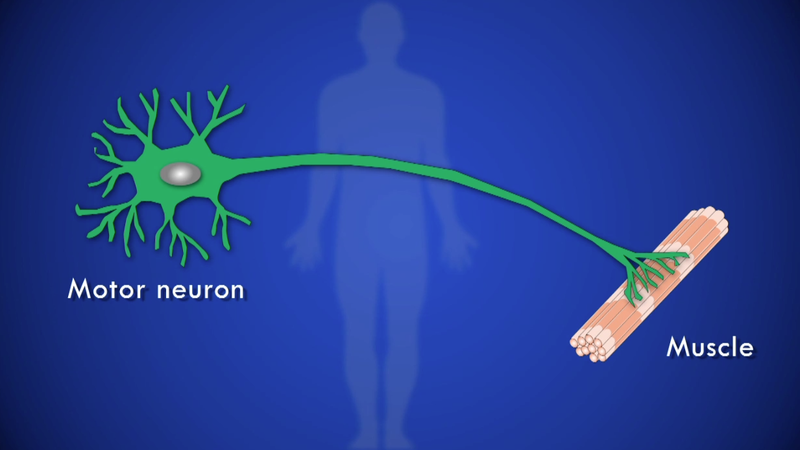 Motor neurons control our muscle movements. In ALS, these cells die. In 2012, CIRM’s Board awarded over $17 million to a Cedars-Sinai Medical Center team to help bring a stem cell based therapy for ALS (amyotrophic lateral sclerosis) to clinical trials in people. Yesterday, the Department of Defense (DoD) got into the act by announcing a $2.5 million grant to the same Cedars-Sinai team to help fund very similar ALS-related research. The military spends several million annually on ALS research because the disease affects an unusually high percentage of veterans for reasons that are not understood. The disease’s effects typically start in one limb, beginning with weakness and leading to paralysis, before moving to other limbs and to muscles throughout the body. The most common cause of death is respiratory failure when the diaphragm muscles become incapacitated. The CIRM-funded Disease Team led by Svendsen has found that a protein called GDNF can protect the motor neurons that aren’t already damaged by ALS. But it’s proved extremely difficult to deliver the GDNF to the spinal cord since it doesn’t readily cross from the blood into the spinal cord area. So Svendsen’s team has engineered neural stem cells to produce GDNF. When injected into people, the idea goes, these neurons will home in to the sick motor neurons and deliver the GDNF exactly where it’s needed. It seems clear that GDNF has potent neuroprotective effects on motor neuron function when the protein is delivered at the level of the muscle, regardless of the delivery method. We think GDNF will be able to help maintain these connections in patients and thereby keep the motor neuron network functional. The DoD funding will help make possible the necessary animal studies to get this therapeutic strategy to clinical trials. Because it’s always difficult to predict the success of clinical trials, Svendsen’s team is smart to pursue this two-pronged approach to treating ALS. In the concluding paragraph of the press release, CIRM’s Disease Team award is mentioned so it’s great to see that our funding has helped attract additional funding from other organizations. Hopefully this will translate into a speedier end to those suffering from this dreadful disease. For more information about CIRM-funded ALS research, visit our ALS fact sheet. You can also watch a video of a recent CIRM-hosted Google Hangout about stem cell therapies for ALS featuring Dr. Svendsen.